March 12, 2014 By This post may contain affiliate links. 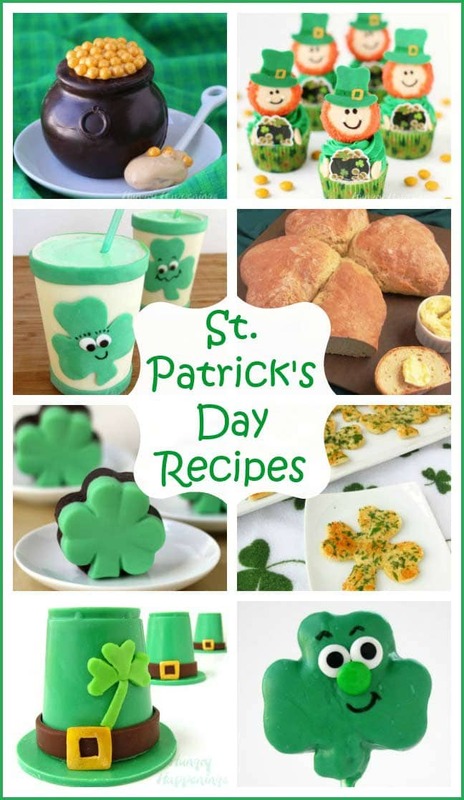 Are you looking to make something special for St. Patricks Day? Try making this beautiful Grasshopper Green Ombre Cake and show off your baking skills! I could sure use a slice of this Grasshopper Ombre Cake right now. I’ve been working on year end paperwork for my business for several days, it’s taken much longer than usual and I am a bit grouchy, tired, and hungry. A big bite of Creme de Menthe infused cake layered with rich and creamy dark chocolate ganache all covered in vanilla frosting would really perk me up. Sadly, this cake is long gone, made weeks ago, and served to friends at a party. Happily they all enjoyed it and thought is was really pretty. 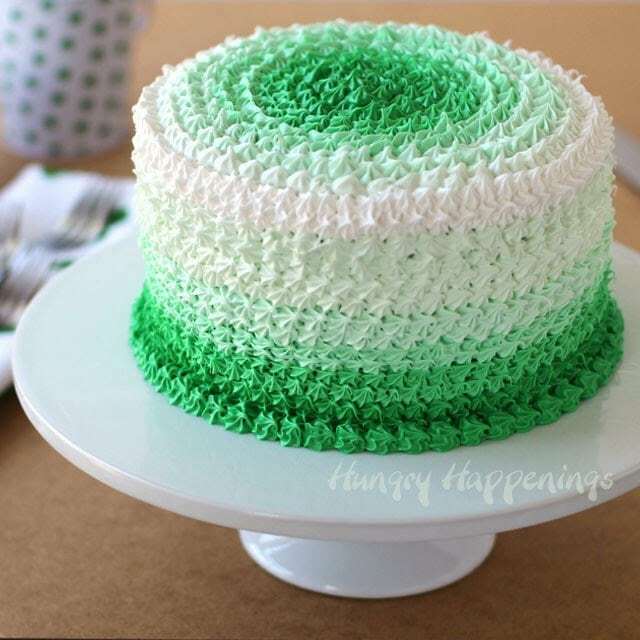 This cake would make a nice dessert for St. Patrick’s Day or for the start of spring. I’m sure ready to see some green, how about you? You can see the tutorial and recipe for this Green Ombre Grasshopper Cake over at Tablespoon.com. Oh my goodness. How long did it take you to decorate that? SO PRETTY! Oh, this was nothing compared to the cake that I'll share with you tomorrow! Did I miss the link for the recipe? Btw, you are amazing, Beth! So pretty, wish I had a big piece right now – I love crème de menthe! and cake. This cake is crazy, great job on it! I can't stop looking at it, it's mesmerising. This is gorgeous. You are so talented! My family would love it if I could pull this off! So pretty…love this cake Beth!! I'm in some serious need of practice with my piping skills, your Ombre Cake is BEAUTIFUL! Thanks for linking it up at Tell it To Me Tuesday!